Last week, we started our first holiday sale of the season! We are offering 10% off of eternity rings, most of our engagement rings, and non-certified five stone rings when you use coupon code JINGLE10 during checkout. This is an ideal time to get an amazing holiday gift, wedding band, or anniversary ring for your loved one. I wanted to highlight just a few of my favorite eternity band designs that are currently available for an extra 10% off! 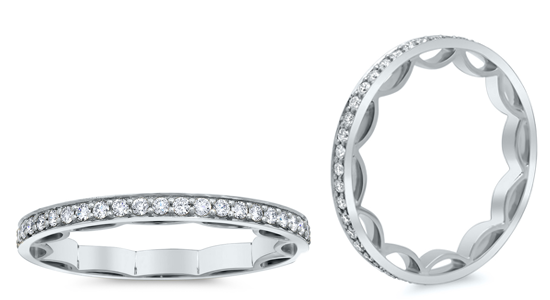 Each of our landmark eternity rings is included in this holiday sale. Each ring features flush set diamonds and/or gemstones. This particular ring is 3mm wide and has approximately 0.08 cttw of G-H color SI clarity diamonds. This ring is one of my favorites because the diamond is my birthstone. This ring is modern and sleek. 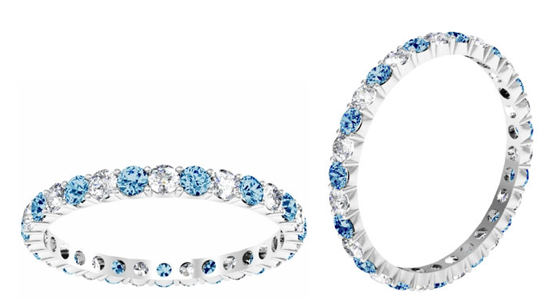 We are also offering 10% off of our gemstone eternity bands. This shared prong ring features the December birthstone, which is blue topaz. The diamonds and gemstones collectively weigh approximately 1.00 cttw. This ring has a width of 2.5mm and can be worn as a wedding band, anniversary ring, or fashion accessory. 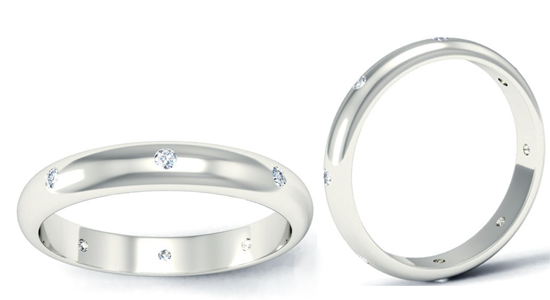 Lastly, our diamond eternity rings have also been included in this sale event. This ring is one of our newest styles. It features a unique ribbon design on the inside of the ring. This ring features approximately 0.50 cttw of G color VS clarity diamonds. Our first holiday sale, which features 10% off of eternity rings, most of our engagement rings, and non-certified five stone rings, will end 12/14. Don’t forget to use coupon code JINGLE10 during checkout to claim your savings. We will also have one more sale event this month, which is perfect for last minute gift items! Be the first to find out about our next holiday sale by signing up for the deBebians newsletter.